London is quite possibly the place to be in the UK if you have any sort of interest in watches. From the seemingly endless boutiques in Mayfair to the iconic Burlington Arcade or the fascinating insight into George Daniels at the British Science Museum. London is a haven for everything watches. Another horological benefit to the city is the regular RedBar events. 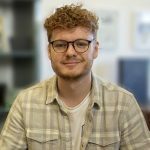 You may have heard of RedBar events if you're a pretty serious watch enthusiast, but if not I'll explain. The RedBar Crew began in New York City as a couple of guys (Adam Craniotes and Dr. Jeffrey) who met by chance and started to explore their interest in watches together. 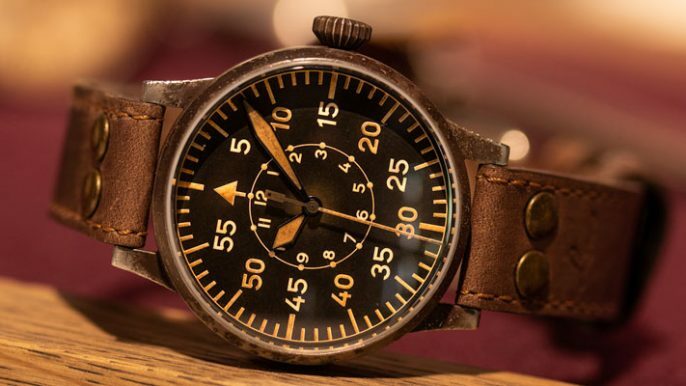 Fast forward a few years to today where regular weekly RedBar gatherings happen around the globe and act as a place for watch collectors and enthusiasts to sit, chat and have a drink, all in the name of horology. On a recent visit to London, Ben and I paid a visit to the RedBar event of the evening, an exclusive preview of an upcoming auction from the iconic Bonhams Auctioneers. After walking past a pretty impressive Aston Martin DB5 (more on that later) and taking wandering around the super clean, minimalistic and sleek Bonhams building, we ended up in the small but welcoming room where around 150 watches sat waiting for us in their glass cases. With our free wine in hand, the saying 'kids in a sweet shop' comes to mind as Ben and I made a b-line towards the nearest glass display case and were met with some pretty insane watches. First up and probably the only watch from the auction that if it came to it, I would add to my collection in a heartbeat...an incredible Rolex Datejust 6305/2 from 1956. This is a watch that just keeps getting better and better the more you look at it. The two most noticeable features when your first see the watch is the dial and those hands. The honeycomb waffle dial is extremely sharp and clean. For something which is over 60 years old the clean lines and accuracy of the texture is still unbelievably precise. Now onto the second most noticeable aspect of the 6305, the hands. The chamfered dauphine hands perfectly capture the light from every angle, a refreshing change from the traditional Rolex baton hands. There is something unmistakably classic and timeless about a set of dauphine hands. If you're familiar with the Rolex Explorer you're likely to know two things. It was introduced in 1963 and the 1016 is the best looking reference number. Okay, that second point is a purely personal opinion, but for me, I much prefer the simple, clean design of the 1016 and it's classic numerals rather than the more modern, sportier numbers we find on examples such as the 214270. 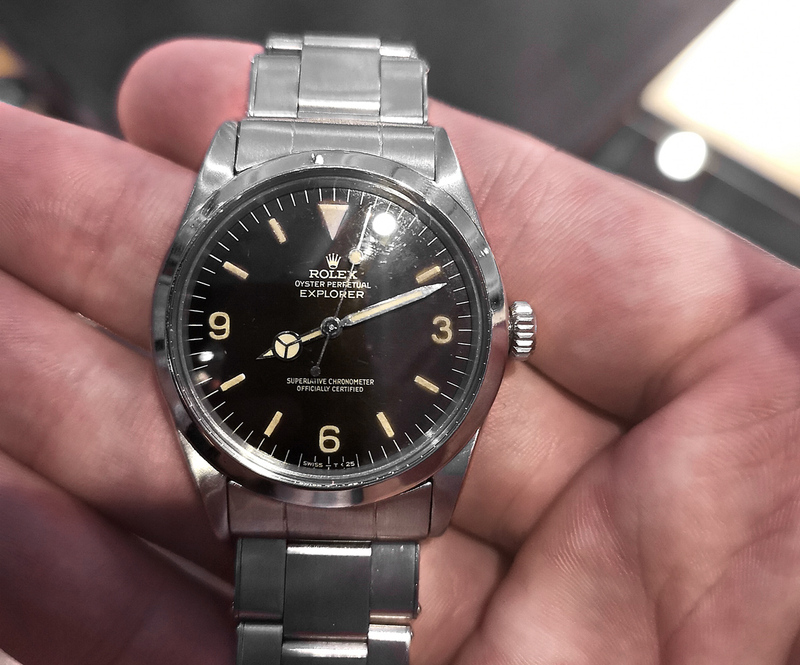 What we have here is an early 1964 1016 from Rolex, just 1 year after the model was introduced. Not only does it have the early birth year on its side, but it also has some insane patina to that glossy black dial. Tropical shades of brown can be seen when this hits the light just right making an already unique watch. The numerals, baton markers, Mercedes hands and lume pip on the second's hand have all developed a lovely custard colour tone to them which adds endless character to the watch when combined with the dial. A brushed Oyster rivet strap features on this 1016 example, and after the recent hype for everything vintage, it's hard to not love these old rivet straps. On the wrist, this 1016 wears perfectly. 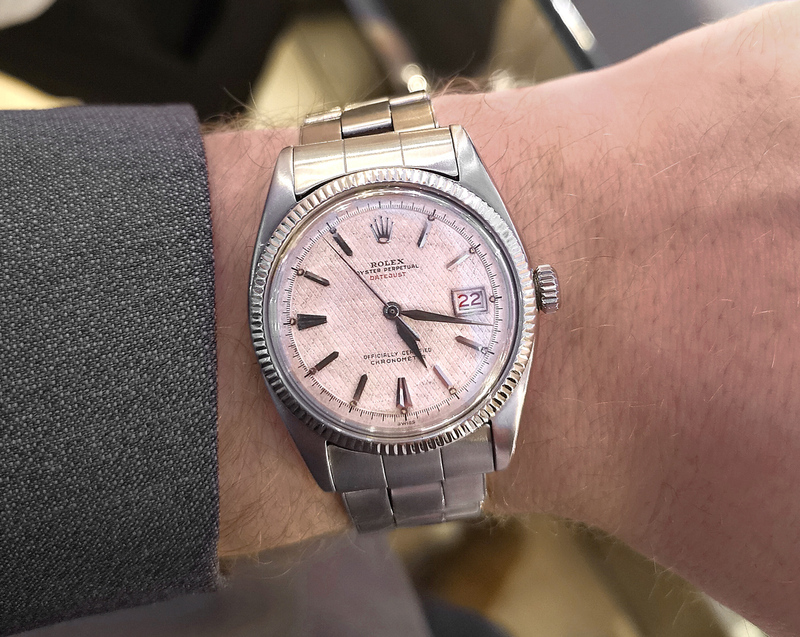 There is something about an oyster case from Rolex that just feels right on the wrist. A combination of the classic dimensions (especially with a 1016), the uncluttered, old school dial configuration and the unique patina makes this piece very special indeed. 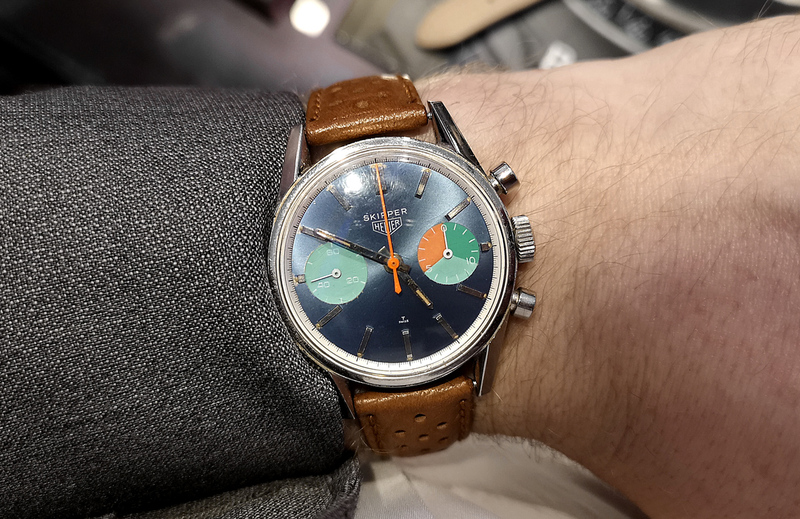 What we have here is a Heuer Skipper 'Skipperera'. The Skipperera nickname comes from the fact this model uses the famous Carrera 35mm case and movement which - when combined with the striking Skipper dial results, in a very very rare watch. With only 20 Skipperera known to exist, it's fair to say handling and wearing this watch felt pretty special. This is the perfect example that pictures really don't do the watch any justice...at all. The use of colour is obviously most prominent on this watch, it's not just this - however, its the way the colours compliment each other so well. Orange and blue go together so perfectly...let that orange chronograph hand popping out of the sunburst blue dial act as all the evidence you need. I was dying to take this 7753 outside into the daylight to see just how amazing that dial really looked in a real-life situation. I'm ending on a high note! This Rolex Cosmograph Daytona is an outstanding example of an extremely rare model. Nicknamed the Desert Eagle, this specially commissioned Rolex was given as gifts to High Ranking Officials including Diplomats and Foreign Dignitaries from the United Arab Emirates. This was a tradition that came out of the UAE as a way of marking respect... I can't imagine anyone was disappointed to receive this crazy watch. It's unknown how many of these watches were commissioned but there are estimates being in the low hundreds. 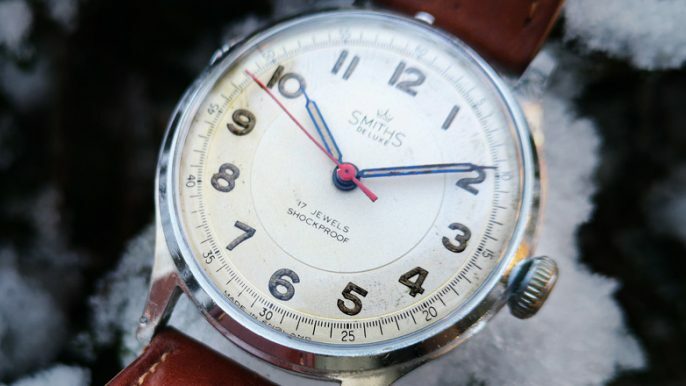 The story of how this watch came to be is just as fascinating and unique as the piece itself. 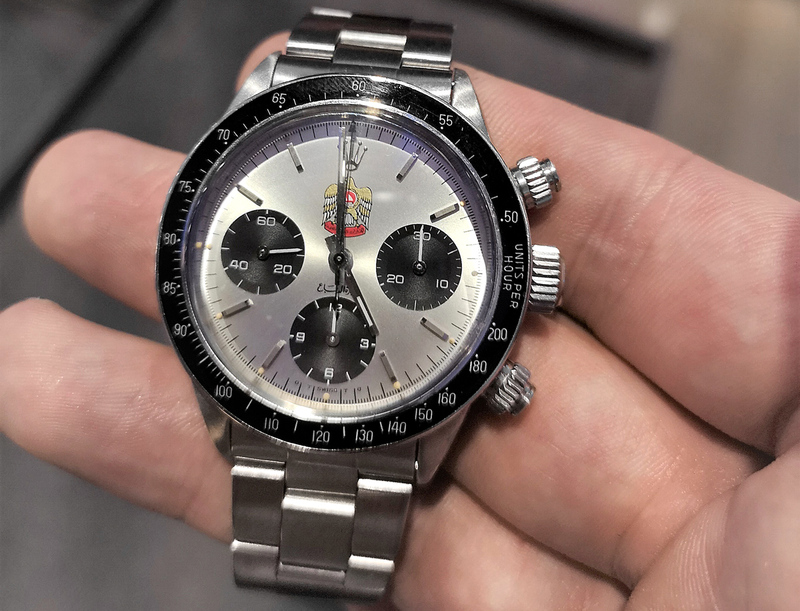 Originally bought in 1994, this Rolex Daytona with its signed dial was nowhere near as desirable or valuable as standard Daytona's were. The previous owner was well aware of this, which is why as soon as he had it in his hands he swapped the dial out for a standard one. Fast forward to present day and this piece, with its mint, perfectly untouched dial is now worth a fair chunk of change. Oh and that previous owner from 1994? 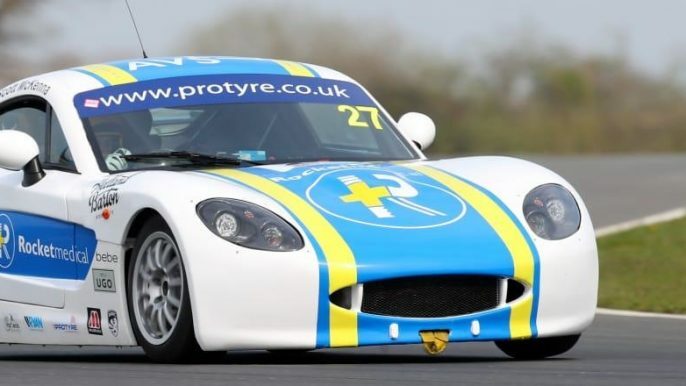 He paid just £3,000 for it at the time... in terms of ROI he must be pretty happy. With regards to the watch itself, it really does feel special. Looking down at it and seeing two additional signatures on the dial right next to the iconic Rolex coronet and knowing how select Rolex is with this type of addition makes it even more special. Oh remember that Aston Martin we saw on the way in? It's James Bond's DB5. As in one of the actual cars. 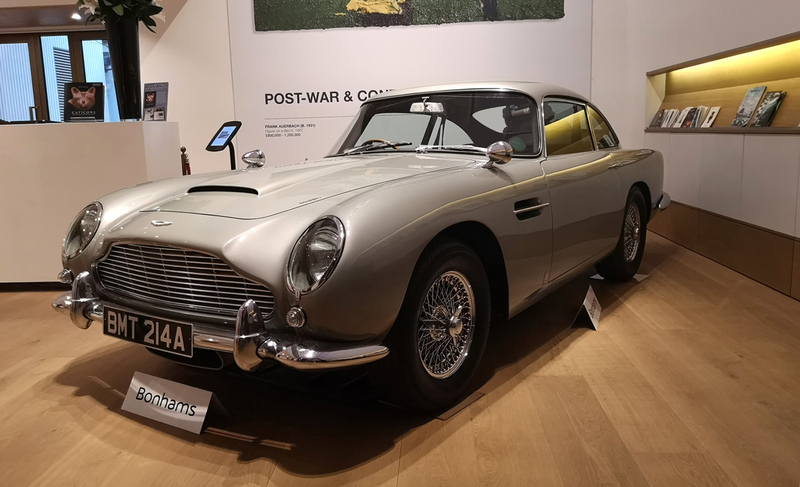 The same way Paul Newman's Paul Newman surfaced last year, this is James Bond's actual DB5 used and driven on set by Pierce Brosnan in Goldeneye. Nowadays DB5 examples in this condition can easily fetch close to £1 million, so who knows how much this could go for with the addition of the ultimate story for any Aston Martin. Older classic cars like these appeal so much more to me than some modern cars, the style and class behind so many cars from the past is an irreplaceable style. For our first visit to a Red Bar, I think we started off pretty strong. 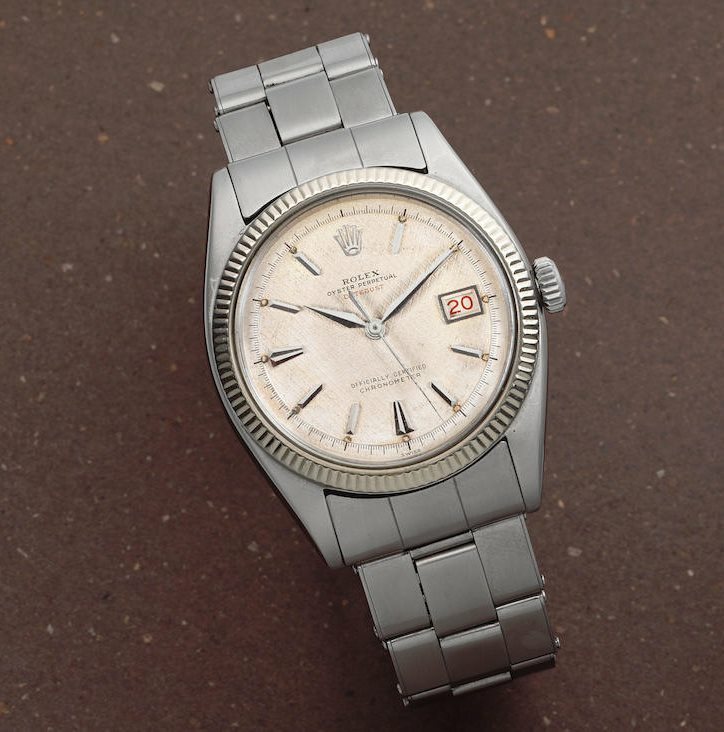 As mentioned in the article, the 6305/2 Datejust really caught my eye and I've already seen a few 34mm Tudor equivalent models listed for sale online, and I'm tempted! The Skipper was a watch that surprised me a lot because I didn't think I could enjoy it as much as I did. I'd like to thank both Red Bar and Bonhams for this first Red Bar experience. Ben and I also got chatting to some great watch enthusiasts and regular Red Bar members. We're both looking forward to going to more Red Bar events in the future, so if you'd like to talk watches with us and maybe even see some early Geckota watches before anyone else, get yourself signed up to Red Bar! Great article, but don't you mean Sean Connery in Goldfinger? It was actually Goldeneye, not Goldfinger!